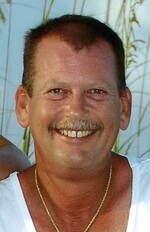 ALAN MILTON DALTON, age 56 of the Hollingsworth Community, Alto, Georgia passed away on Saturday, November 3, 2018. Born in Gainesville, Georgia on February 11, 1962, he was a son of Chris & Joe Walker of Cornelia and the late Milton Dalton. Mr. Dalton was retired from the Georgia Department of Transportation with 34 years of dedicated service. He was of the Baptist faith. In addition to his father, Alan was preceded in death by his grandparents, Tom & Willette Dalton and Ernest & Lillian Yarber. Survivors in addition to his mother & stepfather include his loving wife, Vicki Dalton, son, Kelan Dalton, brothers & sister-in-law, Perry Dalton, Rickey & Kathy Sheridan, niece, Drew Dalton, nephew, Cole Dalton, aunts & caretakers, Sarah Cross, Sharon & Brantley Watkins, uncle, Rev. Phillip & Janet Yarber, aunt, Ora Maney. Funeral services are scheduled for 3:00 p.m. Sunday, November 04, 2018 from the Chapel of McGahee-Griffin & Stewart Funeral Home with Rev. Phillip Yarber officiating. Interment will follow in the Harmony Baptist Church Cemetery. The family will receive friends at the funeral home from 2:00 p.m. until the service hour on Sunday. This obituary is protected by copyright by McGahee Griffin Stewart Funeral Home. Proudly Serving the Community of CORNELIA. McGahee Griffin Stewart Funeral Home is located in the state of Georgia, United States.